This e-book called "Golden Lens Photography Minnesota North Shore Scenic Drive Photo Tour" by Gary Leeper can be downloaded to your favorite electronic device (ie. Nook, Kindle,ipads, computers etc...), from your favorite e-book locations (ie. www.Amazon.com, www.barnesandnoble.com etc.). Other download formats such as PDF, PC &, Mac and other useful versions are available through www.smashwords.com and can be downloaded to Ipad's, computers and cell phones. This E-book is a great planning and reference guide to 61 locations for you in your travels up Minnesota Highway 61 on the North Shore of the Lake Superior. The North Shore of Minnesota and Lake Superior has so much to offer including 8 state parks, the Superior National Forest, the Boundary Waters Canoe Area and Lake Superior itself. Let this book be your guide to these 61 locations. 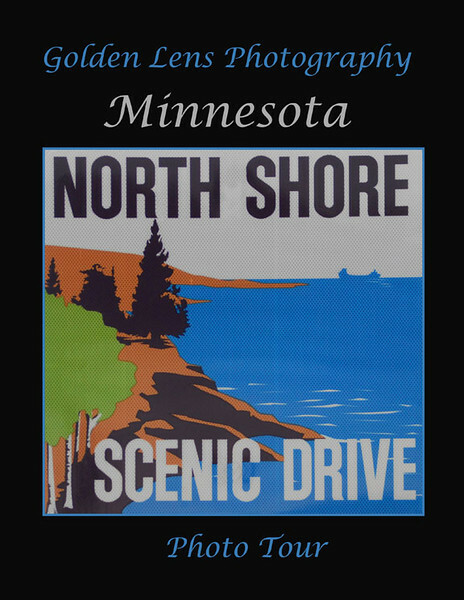 Click here to see a sample of the "North Shore Scenic Drive" book. 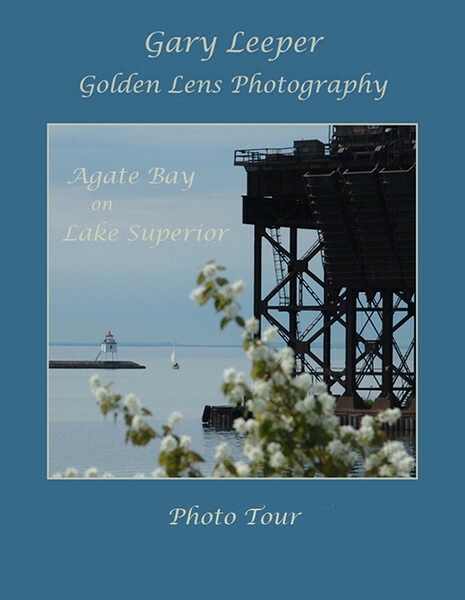 Then download the full version to your favorite device and use it as your reference guide for your trip up (or down) "the north shore"
Golden Lens Photography Photo Tour series has released another e-book titled "Agate Bay on Lake Superior's". This book provides a yearlong photo journal of seasonal images pertaining to the north shore of Lake Superior's Agate Bay. Let this eBook be your pictorial journey to the sites and seasons around Agate Bay on Lake Superior in Two Harbors, Minnesota. This book will guide you through the seasonal changes to Agate Bay where you will find a Lake Superior break wall, lighthouse, trains, hiking trails, ore boats and ore docks, a tug boat, fishing boats, kayaks, parks and much more that can be seen and experienced. This little short drive provides something for everyone and not just for taking picture, and no matter what the season is: spring, summer, fall or winter. This e-book can be downloaded to your favorite electronic device (ie. Nook, Kindle etc...), from your favorite e-book locations (ie. www.Amazon.com, www.barnesandnoble.com etc.). Other download formats such as PDF, PC &, Mac and other useful versions are available through www.smashwords.com and can be downloaded to Ipad's, computers and cell phones. Click here to see a sample of the "Agate Bay" book. Then download the full version to your favorite device and use it as your reference guide for your trip to "Agate Bay". Both of the above books are available in print versions from www.blurb.com (click here to go directly to the site). Just go to their web site and click on the bookstore tab and type "Gary Leeper" into the search field and press "return". This will bring up my books. Press the PREVIEW button and preview the book. When you find the one you like press the ordering link (http:/www.blurb...etc.......), from there it will take you to where you can place your order for the book. I think you will enjoy either the print or the e-book version. It really is just a matter of personal choice.